Peter Pan Day Nursery & Pre-School has been established in the Coventry area since 1994 and has a great reputation so gains most business through referrals. However, with a dated website and a minimal online presence, Peter Pan realised they could enhance their profile in the area and gain more interest in child places with an up-to-date website that could easily be updated. Being a small, independent nursery Peter Pan were looking for a cost-effective solution and HeadRed provided that through designing and developing a WordPress website. 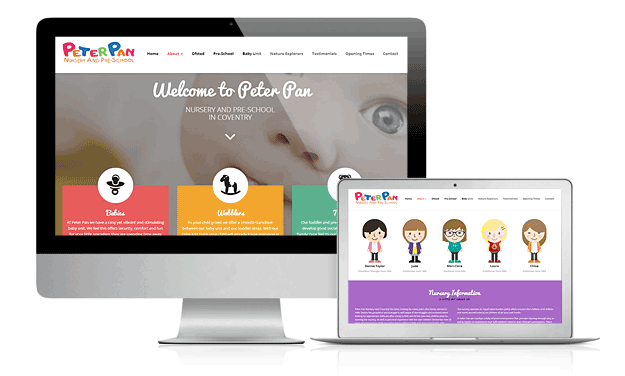 The new website for Peter Pan Nursery is responsive and offers a clean, user-friendly layout with a fresh, playful design. 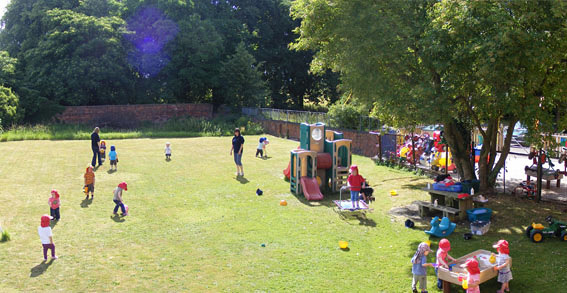 It was important that the new site portrayed the nursery’s unique offering – its rural countryside location, so crisp images of the children enjoying the great outdoors was a key feature on the site. Not only have HeadRed worked with Peter Pan to improve the website, the nursery comes highly recommended to parents within the Coventry, Warwickshire and West Midlands area, as both Phil and myself have nothing but great things to say about the nursery. Phil’s children both loved their time at the stable-block nursery, thanks to owner Denise who has built-up a fantastic family-feel at Peter Pan, and I am currently using the nursery for my toddler, who couldn’t be happier being left in the care of the brilliant Peter Pan team. Check out the Peter Pan website at www.peterpan-nursery.com and let us know what you think in the comments below!